Breeding your Yorkshire terrier can be a very tricky task for those who are beginners. You may have always desired to breed pets, or you might just want to have a new dog that you can groom from beginning. But breeding these small pets can have a whole set of issues and circumstances that occur that you may or may not be completely prepared to cope with. 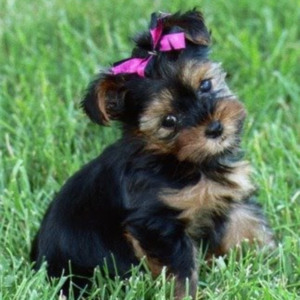 Here are some facts you must remember before you starting breeding a Yorkshire terrier. If you still do not have the male terrier that will sire the puppies, you will need to get in touch with someone who does. It is common that the owner of a male terrier will get to choose from the pups from the litter, but you may create any terms and conditions that you and the other individual agree to. If you do own the male, it is a recommended practice to look for exactly when the female terrier wants to breed. Typically, the male and female are separated for at least a couple of days before you want them to mate. This is because you will need to make arrangements to look after the newborn puppies. The maternity interval for this pet is usually sixty three days. Before the end of the six-seven week period, you should consider taking your female terrier to the veterinary doctor for an ultrasound examination. Although you already know she is expecting, you should get the ultrasound examination done to determine the number of pups she is carrying. If there are three or more pets then she should be able to give birth in her house. Consider staying with the female almost all the time in her last week of pregnancy. When the female is delivering, make sure that each dog comes out easily from the safety bag. This safety bag should be emptied instantly after the birth to make sure the pups don‘t die. Now consider creating a nesting place for the new mom and her baby terriers. The new born dogs should be kept warm in the first week after birth. Take a weighing machine and weigh the pups to ensure they are gaining weight on a regular basis. If you do not see a gain in their body weight in the first couple of weeks, you may need to add a supplement to their diet.